The 2015 Subaru Legacy-A Sedan That Is Primed And Ready For The Big Time! The all-new 2015 Subaru Legacy Sedan has arrived at Hassett of Wantagh! This slightly longer Legacy model is both good-looking and affordable and has more interior space than before. It’s eye-catching design, with a more prominent six-sided grille, and a coupe-like roofline gives this new Legacy a stylish and aerodynamic look. The 2015 Legacy comes standard with its legendary symmetrical all-wheel drive (get ready for winter driving!) and many other features like a rear-view camera, blind-spot monitoring system, a cross-traffic alert, a 12-speaker sound system, Bluetooth and auto streaming. The Premium version includes a sunroof, keyless entry and navigation system. Legacy ‘s upgraded interior has an upscale feel, featuring attractive faux wood accents and padded center armrests, heated seats in both the front and the back —primed and ready for more those long winter months ahead! You will be pleasantly surprised when you drive the all-new 2015 Legacy with its quicker steering and solid handling. Economy enthusiasts will love the 2015 Legacy four-cylinder models, now rated at 30mpg combined—the best gas mileage rating in a smaller niche of family sedans with all wheel drive. Another plus for drivers—the 2015 Legacy earned a rating of Top Safety Pick+ in crash tests carried out by the Insurance Institute for Highway Safety. In addition, the EyeSight option uses cameras to spot objects in the vehicle’s path and then automatically applies the breaks. The 2015 Legacy is a smart buy! Come in to Hassett of Wantagh for a look and a test drive at what the critics are calling “ quiet, stylish, roomy and refined. “ Hassett has it!! The all-new value-packed 2015 Legacy is ready for you and primed for the big time in the mid-sized sedan market. Subaru’s latest advertising campaign for the 2015 Subaru Legacy aims to target buyers in the mid-size sedan market, most of which have families. And what do families want? Impressive safety features, entertainment options, and a comfortable interior, to name a few. 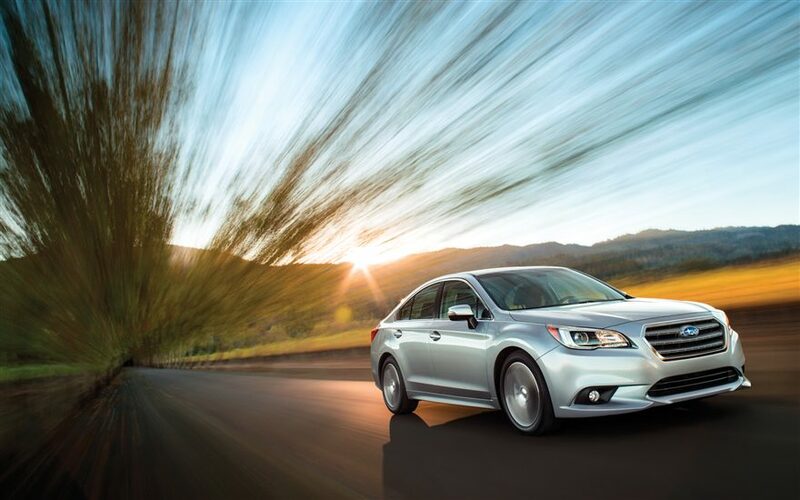 The 2015 Subaru Legacy offers all of this and more. The 2015 Subaru Legacy boasts up to 36 miles per gallon and can include dual-zone climate control, voice-activated GPS, and a 7-inch premium infotainment system w/ Harman Kardon. It comes standard with a new car and powertrain limited warranty. We know how important your family is to you. So stop in to Hassett Automotive and see what the 2015 Subaru Legacy can do for your family! Have you been looking forward to getting a new car, but just haven’t been “wowed” by anything lately? Yeah? Well all of us here at Hassett think the wait is over. Introducing the all-new 2015 Subaru Legacy! The 2015 Subaru Legacy was just recently unveiled at the 2014 Chicago Auto Show. But enough with all the numbers and what not. If you’re anything like us, you probably learn best by watching a short video or two. And we just happen to have exactly that! Check out the videos below for more information on the new 2015 Legacy. So there you have it! The new 2015 Subaru Legacy. We cannot WAIT for it to be delivered to Hassett later this year. Keep checking our blog for updates on its delivery. And remember, you can always stop by Hassett if you have any questions about this or any other Subaru model.